But Maureen O’Connor in New York Magazine’s The Cut got the inside scoop with more information from Patton. 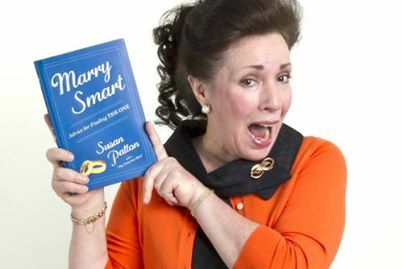 In an interview with the Princeton 1977 class president, O’Conner found the mother, who is recently divorced after 27 years of marriage, wished she married a Princeton grad herself. Patton explained to O’Conner that she was surprised by the “extreme” reaction the op-ed received. Even with her divorce last month, she told O’Conner her own situation is not what spurred the letter. “Honestly, I just thought this was some good advice from a Jewish mother,” she said. It was every daughter’s nightmare of condescending advice from your mother. This excellent article by Deborah Jacobs of Forbes covers all the bases. All that being said, for a secure young woman who happens to meet the right secure young man early in college, marriage is not a bad idea. Building a career is easier with the support of a good partner, and growing together with someone from that age can work well. Presenting it as a game of musical chairs you will lose in if you don’t rush to sell yourself, though, is offensive.